The Seattle Mariners acquired former Dayton Dragons infielder Shed Long in a three-team trade also involving the Cincinnati Reds and the New York Yankees. In addition to the Mariners getting Long, the Reds received major-league RHP Sonny Gray and minor-league LHP Reiver Sanmartin, and the Yankees got speedy minor-league outfielder Josh Stowers and a competitive balance round draft pick. Long is the only one of those players who is a former Midwest Leaguer. 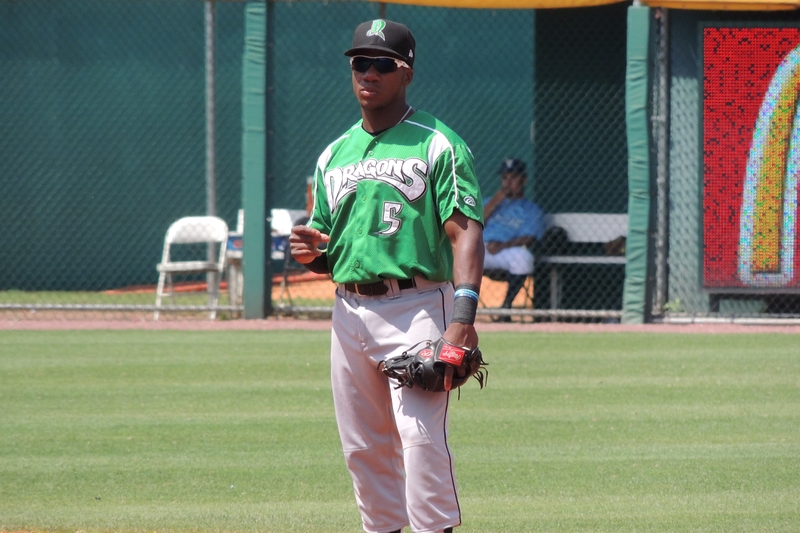 Primarily a second baseman, Long played 136 games with the Dragons in 2015 and 2016, cumulatively batting .281 with 17 homers, 31 doubles, 61 runs batted in, and 18 stolen bases. He spent the 2018 season in Double-A, where he batted .261 with 12 homers, 22 doubles, 56 RBI and 19 stolen bases in 126 games with the Pensacola Blue Wahoos. This entry was posted in Dayton Dragons, Midwest League, Pensacola Blue Wahoos, Southern League. Bookmark the permalink.